1   455  Willis, Kyle  10                Jserra High School           16:50. 2   617  Freitas, Joshua  SO             Kamehameha-Kapalama Boys     17:23. 3  1290  Ko, Anderson  SR                Punahou School Boys          17:52. 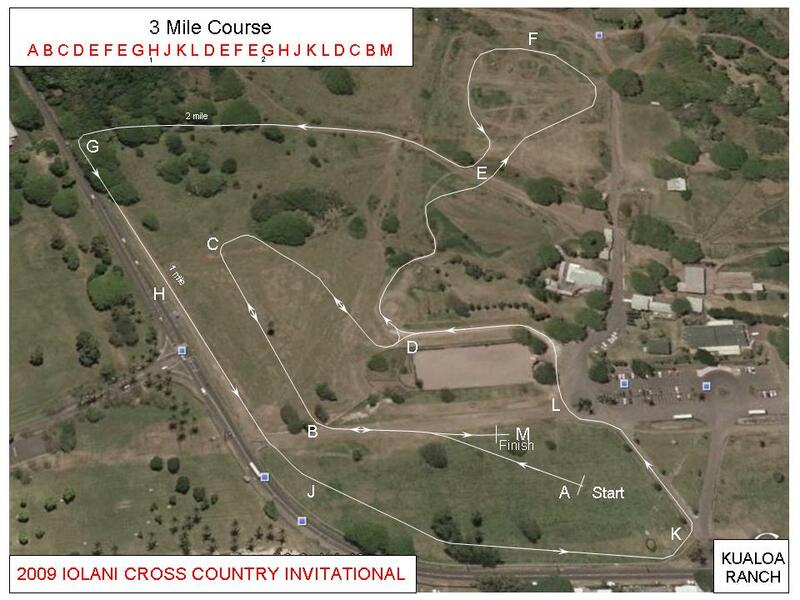 4   662  Pidot, Collin  SO               Kamehameha-Kapalama Boys     18:00. 5   638  Kurashima, Kent  SR             Kamehameha-Kapalama Boys     18:04. 6   269  Chikuma, Casey  12              Iolani Boys                  18:12. 7  1319  Naito, Kelvin  SO               Punahou School Boys          18:18. 8  1326  Oshiro, Harrison  FR            Punahou School Boys          18:20. 9   284  Harpstrite, Joey  11            Iolani Boys                  18:22. 10   454  Graceffa, Anthony  11           Jserra High School           18:24. 11   275  Diebold, Michael  11            Iolani Boys                  18:25. 12  1259  Barahal, Zachary  JR            Punahou School Boys          18:26. 13  1309  Madanay, Spencer  SO            Punahou School Boys          18:36. 14    52  Shimoda, Michael  SR            Castle High School           18:43. 15   649  Nakatsuka, Kyle  JR             Kamehameha-Kapalama Boys     18:43. 16   602  Bissen, Shaun  JR               Kamehameha-Kapalama Boys     18:43. 17  1306  Lloys, Ryan  JR                 Punahou School Boys          18:48. 18    41  Johnson, Isaac  SO              Castle High School           18:52. 19    26  Torres, Julian                  Campbell                     18:53. 20   631  Kaiama, Trevor  SO              Kamehameha-Kapalama Boys     18:54. 21  1444  Hill, Connor  SR                Kamehameha-Kapalama Boys     18:56. 22  1080  Tuck, Nick  FR                  Pac-5                        18:57. 23   653  Nuuanu, Shane Justin  FR        Kamehameha-Kapalama Boys     18:58. 24   982  Kaluaiaea, Lanson  FR           Nanakuli High School         19:00. 25  1321  Nishikawa, Derek  SR            Punahou School Boys          19:02. 26   337  Oyama, Drew  11                 Iolani Boys                  19:04. 27   366  Wong, Ian  10                   Iolani Boys                  19:04. 28   185  Gusman, Caden  JR               Hawaii Baptist Academy       19:10. 29   640  Liu, Christian  JR              Kamehameha-Kapalama Boys     19:13. 30   249  Yoda, Ryuta   9                 Hawaii Preparatory Academy     19:19. 31   334  Nakamura, Kenton  10            Iolani Boys                  19:20. 32   822  Estrada, Elliot                 Leilehua High School         19:22. 33  1269  Duarte, Matthew  SR             Punahou School Boys          19:22. 34   274  De Luna, Evan  10               Iolani Boys                  19:24. 35   313  Masuda, Zach  10                Iolani Boys                  19:30. 36   877  Shen, Sime  SO                  McKinley High School         19:31. 37   450  Ilar, Royce  SO                 Island Pacific Academy       19:36. 38   187  Hosaka, Kalei  SO               Hawaii Baptist Academy       19:37. 39   961  Matsumoto, Ryan                 Moanalua High School         19:42. 40  1296  Lam, Matthew  SO                Punahou School Boys          19:43. 41   183  Freitas, Adam  JR               Hawaii Baptist Academy       19:50. 42   244  Rogerson, Michael  10           Hawaii Preparatory Academy   19:50. 43   542  DeRego, Theodore  10            Kamehameha B I Boys          19:54. 44   170  Anama, Colby  JR                Hawaii Baptist Academy       19:57. 45  1071  Nakamura, Ryan  FR              Pac-5                        20:00. 46   548  Hart, Nainoa  10                Kamehameha B I Boys          20:02. 47   242  Matsuda, Kyle  10               Hawaii Preparatory Academy    20:03. 48   296  Kagami, Josh  12                Iolani Boys                  20:06. 49   169  Akatsuka, Chris  SO             Hawaii Baptist Academy       20:11. 50   878  Siasoco, Ricardo                McKinley High School         20:13. 51  1314  Mattson, Nicholas  SR           Punahou School Boys          20:15. 52   883  Young, Christopher  SO          McKinley High School         20:26. 53    38  Fong, Mitchell  JR              Castle High School           20:27. 54   235  Chock, Nick  10                 Hawaii Pacific Academy Bo    20:29. 55   560  Tanimoto, Easten  10            Kamehameha B I Boys          20:29. 56  1072  Okamoto, Cameron  SO            Pac-5                        20:31. 57   233  Chavez, Joey  12                Hawaii Preparatory Academy    20:32. 58   230  Yamaguchi, Jace  SR             Hawaii Baptist Academy       20:33. 59    48  Liu, Makena  SR                 Castle High School           20:34. 60   551  Hulse, Cooper   9               Kamehameha B I Boys          20:35. 61   561  Thomas, Ryan  10                Kamehameha B I Boys          20:38. 62   245  Severino, Michael  11           Hawaii Preparatory Academy 20:39. 63   534  Alip, Dylan  10                 Kamehameha B I Boys          20:39. 64    37  Fong, Jacob  FR                 Castle High School           20:40. 65  1375  Paguirigan, Ceasar              Radford High School          20:42. 66  1066  Marshman, Kale  SR              Pac-5                        20:43. 67   221  Teruya, Devyn  SO               Hawaii Baptist Academy       20:44. 68  1056  Hopper, Chris  SO               Pac-5                        20:49. 69   547  Haasenritter, Kawika  11        Kamehameha B I Boys          20:50. 70  1443  Au, Bryson  SR                  Kamehameha-Kapalama Boys     20:52. 71   240  Magoon, Carson  10              Hawaii Preparatory Academy  20:54. 72  1424  Loke, Robert  JR                St. Louis                    20:57. 73   917  McFann, Logan  FR               Mid-Pacific Institute        21:00. 74   369  Yamamoto, Logan  10             Iolani Boys                  21:06. 75  1070  Morisato, Ryan  JR              Pac-5                        21:12. 76   924  Watanabe, Cole  JR              Mid-Pacific Institute        21:15. 77  1075  Rettk, Devin  FR                Pac-5                        21:15. 78   880  Viengmany, Mana  SO             McKinley High School         21:17. 79    34  Akamine, Reyn  SO               Castle High School           21:18. 80   197  Leonardo, Ryan  JR              Hawaii Baptist Academy       21:23. 81    54  Takaba, Chad  SR                Castle High School           21:26. 82  1415  Camacho, Michael  SO            St. Louis                    21:27. 83   559  Rowlan-Fernandez, Jason  10     Kamehameha B I Boys          21:37. 84   111  Arzaga, Eric  FR                Farrington High School       21:43. 85   557  Ogawa, Rogan  10                Kamehameha B I Boys          21:43. 86    42  Kiyabu, Eric  SO                Castle High School           21:44. 87   544  DuVoisin, David  11             Kamehameha B I Boys          21:45. 88   915  Lee, Kelson  JR                 Mid-Pacific Institute        21:49. 89   216  Shoji, Devyn  SR                Hawaii Baptist Academy       21:58. 90   873  Lau, Albert  SO                 McKinley High School         22:01. 91  1089  Kaya, Landon  SR                Pacific Buddhist Academy     22:03. 92    51  Ringuette, Ryan  JR             Castle High School           22:07. 93    47  Lee, Taylor  SO                 Castle High School           22:07. 94  1049  Ching, Justin  SR               Pac-5                        22:11. 95  1416  Chang, Leighhton  JR            St. Louis                    22:18. 96   515  Tiara, Dennis  JR               Kaimuki High School          22:19. 97  1064  Loui, Kyle  JR                  Pac-5                        22:21. 98   219  Tang, Justin  SR                Hawaii Baptist Academy       22:22. 99   483  Wasden, Ben                     Kahuku High School           22:22. 100  1065  Louis, Michael  JR              Pac-5                        22:23. 101   117  Haraguchi, Timothy  SO          Farrington High School       22:33. 102   236  Correa, Hank  11                Hawaii Preparatory Academy 22:42. 103   904  Carino, Jarin  FR               Mid-Pacific Institute        22:44. 104  1374  Nguyen, Danny                   Radford High School          22:46. 105    25  Inay, Mark                      Campbell                     22:53. 106   913  Kunimoto, Matthew  FR           Mid-Pacific Institute        22:56. 107   504  Lewis, Sam  12                  Kaimuki High School          23:03. 108    83  Ulm, Nate  JR                   Damien Memorial High Scho    23:09. 109   501  Fujita, Lee  SO                 Kaimuki High School          23:18. 110  1434  Trifonovitch, Greg  SO          St. Louis                    23:21. 111   514  Tay, Kai  SO                    Kaimuki High School          23:22. 112   113  Domingo, John  FR               Farrington High School       23:30. 113  1418  Gesling, Scott  JR              St. Louis                    23:32. 114   516  Vares, Kaleopa'a  FR            Kaimuki High School          23:34. 115   129  Yamashiro, Charles  SR          Hanalani School              23:36. 116    70  Dang, Dong  SR                  Damien Memorial High Scho    23:37. 117   987  Smith, Justin  JR               Nanakuli High School         23:45. 118   816  Chang, Dylan                    Leilehua High School         23:51. 119  1373  Lasater, Todd                   Radford High School          23:58. 120    64  Abe, Justin  JR                 Damien Memorial High Scho    24:12. 121  1087  Ikebe, Kevin  SR                Pacific Buddhist Academy     24:33. 122   879  Torrente, Calvin  FR            McKinley High School         24:34. 123   118  Higa, Garrett  FR               Farrington High School       24:36. 124   246  Siebert, Jake  10               Hawaii Preparatory Academy    24:37. 125    75  Martin, Kieth  JR               Damien Memorial High Scho    24:48. 126   122  Raquinio, Jay Mark  SO          Farrington High School       24:49. 127    24  Graham, Brian                   Campbell                     24:49. 128    86  Woodbery, William  SO           Damien Memorial High Scho    24:50. 129   507  Luu, Kevin  JR                  Kaimuki High School          25:20. 130  1086  Eli, Justin  SO                 Pacific Buddhist Academy     25:29. 131   123  Santiago, Aidyl-Mar  SO         Farrington High School       25:39. 132   234  Ching, Jevin  12                Hawaii Preparatory Academy    25:54. 133   505  Lloyd, Daniel  FR               Kaimuki High School          26:38. 134    59  Dotson, Casey  FR               Christian Academy            26:39. 135   112  Dela Cruz, Jayden  FR           Farrington High School       26:42. 136    63  Wisch, Caleb  FR                Christian Academy            27:13. 137    81  Stollenmaier, Joshua  SR        Damien Memorial High Scho    27:16. 138  1412  Angle, Eric  JR                 St. Louis                    27:40. 139    85  Uy, Mervin  SR                  Damien Memorial High Scho    29:14. 140   506  Luu, Alex  SO                   Kaimuki High School          30:09. 141   508  Nguyen, Dahn Ronald  JR         Kaimuki High School          30:21. 142    84  Ursua, Bryse  JR                Damien Memorial High Scho    30:44. 143    68  Cullen, Patrick  JR             Damien Memorial High Scho    30:44. 144   120  Mangayayam, Mark John  FR       Farrington High School       31:05. 145  1431  Suzuki, Garis  SO               St. Louis                    33:06. 146  1417  Fox, Austin  SO                 St. Louis                    33:07. Need to be at airport 90 minutes in advance (9:00 flight) for check in. Awards to Top 10 individuals and Top 3 teams. Arrive to Airport @ 7:55 PM (United #76) for a 9:10 PM departure. $150 due to me by Sept 9 (Wed) made payable to LYNBROOK ASB - XC. Permission Slip - Back to me by Wed (9/9). School Permission Slips to me by Wed (9/9). NO COSMETICS, LIQUID, MAY BE CARRIED ON BOARD.